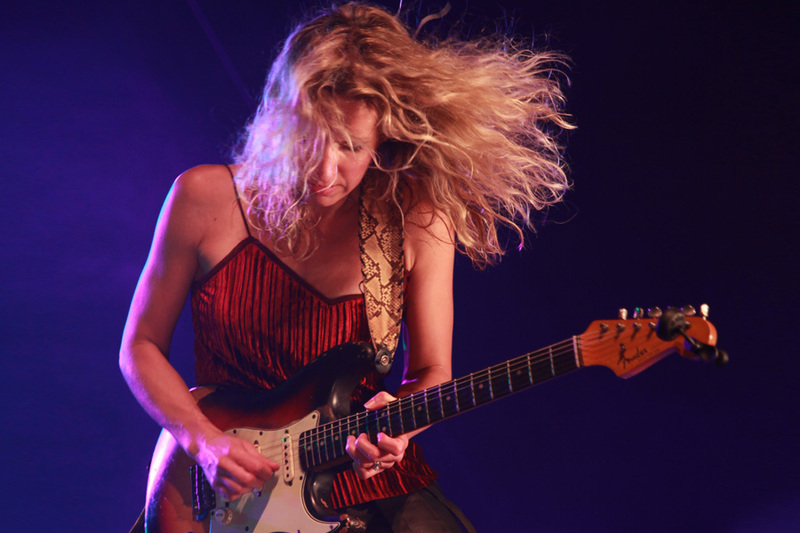 Ana Popovic is an award-winning, hard-touring, guitar slinger who blends smoking electric funk and slide guitar, jazzy instrumentals and a tight blues groove with soulful, feminine vocals. Add to the mix her incredible stage presence, all of which makes her an irresistible force in the world of contemporary blues music. As the only female guitar-player, Ana was added to the 2014 'all-star' Experience Hendrix lineup. She’s been nominated for five Blues Music Awards and appeared on the cover of Vintage Guitar and Guitar Player Gear Guide and American Blues Scene. Her albums 'Can You Stand The Heat' and ‘Unconditional' were Pick Of The Week by USA Today and featured on NPR Music. Nearly all of Ana's albums made it the Top 5 of the Billboard Blues Charts and are being played regularly on US radio. Ana is an phenomenal guitarist/vocalist with a growing legion of fans throughout the world. She and her powerful band are tirelessly touring, playing major blues, jazz and rock festivals. She is endorsed by Fender, Mesa Boogie, Ovation and DR strings. Ana has shared headlining stages with B.B. King, Buddy Guy, Joe Bonamassa, Gary Clark Jr., Jonny Lang and many others.